So, my printer went out… I had to buy a new one. BLECK!!! My old printer was a Kodak and the ink lasted forever and was SO CHEAP. SIGH… When I went to buy a new one they were out of Kodaks. WAH!!!! I bought an HP instead. Now, the quality of the HP is AWESOME but the ink is higher and doesn’t last as long. I say all of that to tell you this: I will be MAKING a lot of homeschooling stuff instead of PRINTING a lot of homeschooling stuff. When we first started homeschooling (7 years ago!!!) that was a normal occurrence. I made TONS of stuff. Looks like we are going back to that and I LOVE IT!! I had forgotten how much fun it was to make my own games and such. 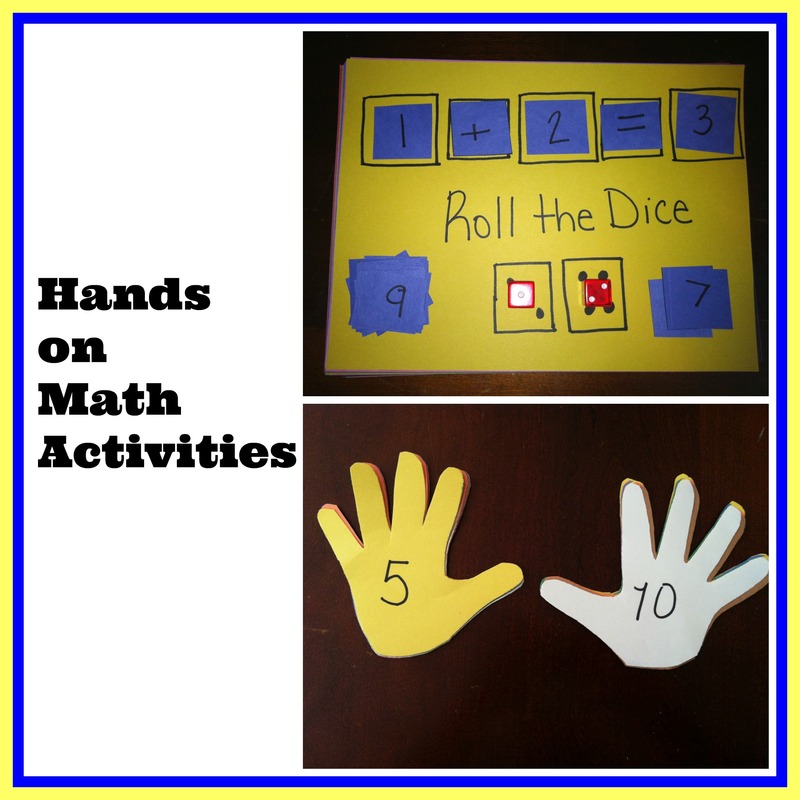 Anyway, here are 2 new math games. Colin is LOVING them. SHEW!!!!! This is his favorite. 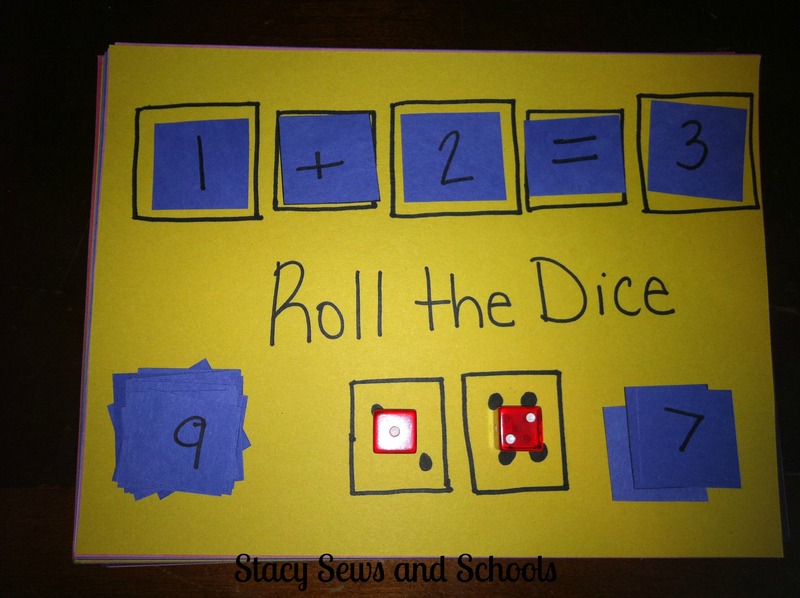 He loves rolling the dice and inserting the numbers. 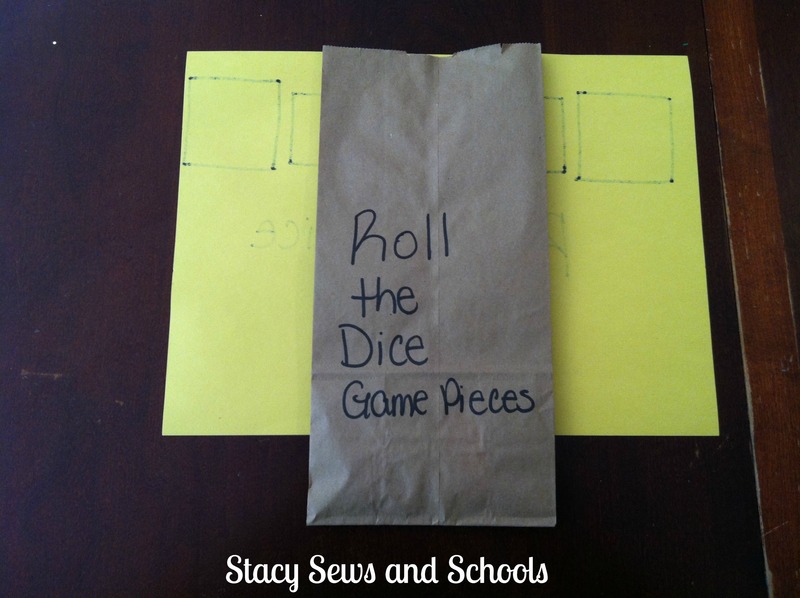 To store the game pieces I just stapled a paper bag to the “game board”. Zipper bags would probably be better but I am out, of course. 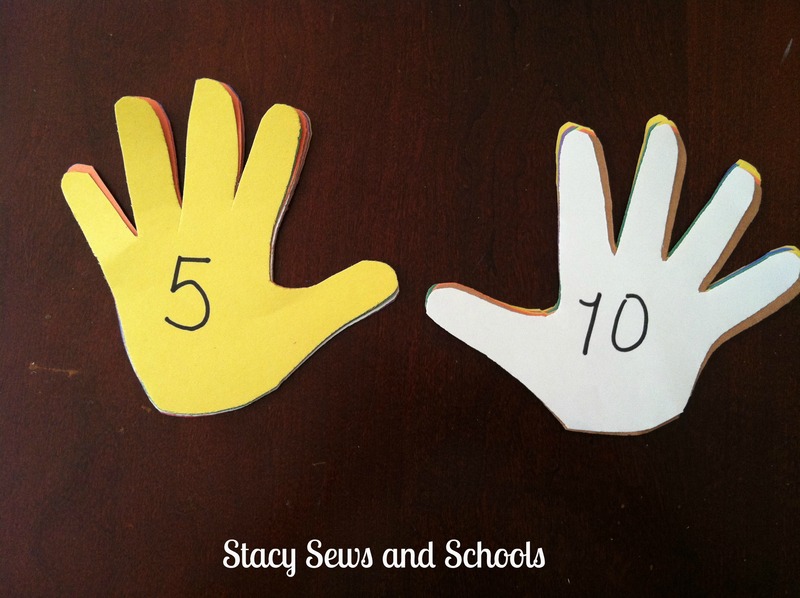 The other day when I posted some sight word / word family activities I also posted some links to other hands on ideas. This was one of them! 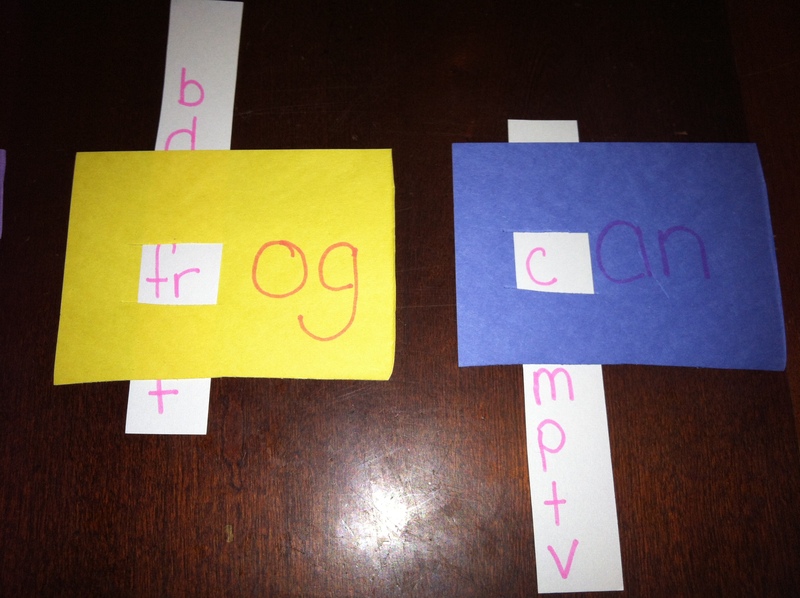 This is my version of Creative Family Fun ‘s Word Family Sort. 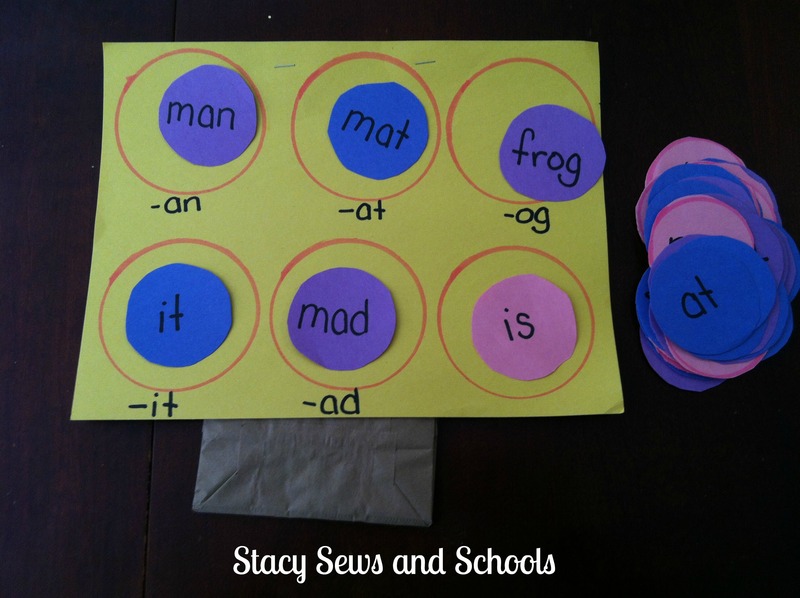 I added a blank circle for those sight words that Colin is learning that don’t fit into a family or ones that he isn’t actually learning all of yet. I also added a couple of new things to the blog. Over on the right side you will see a new listing, My Pages. Until the title you will find links to my Homeschooling Units and Ideas page and my All Tutorials page. Now you (and I) can find what I have on each topic without having to use the search box. 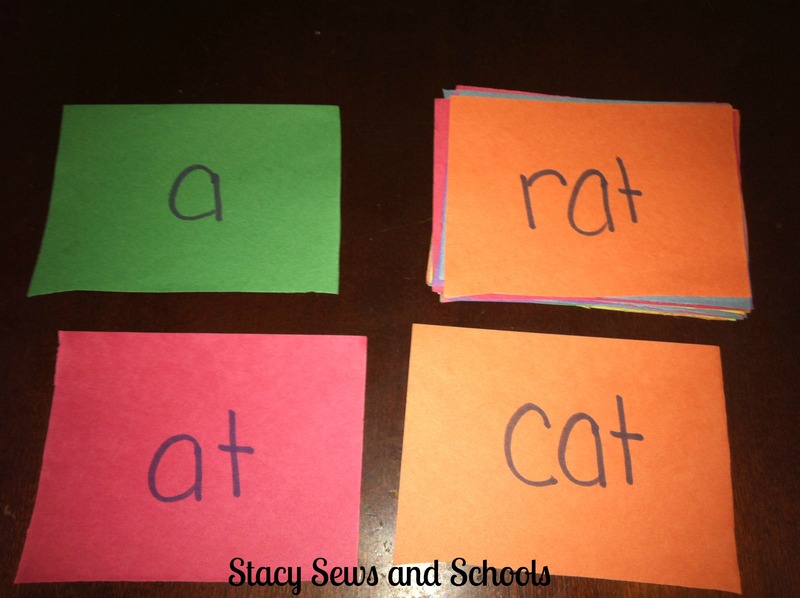 First I made up some simple flashcards. 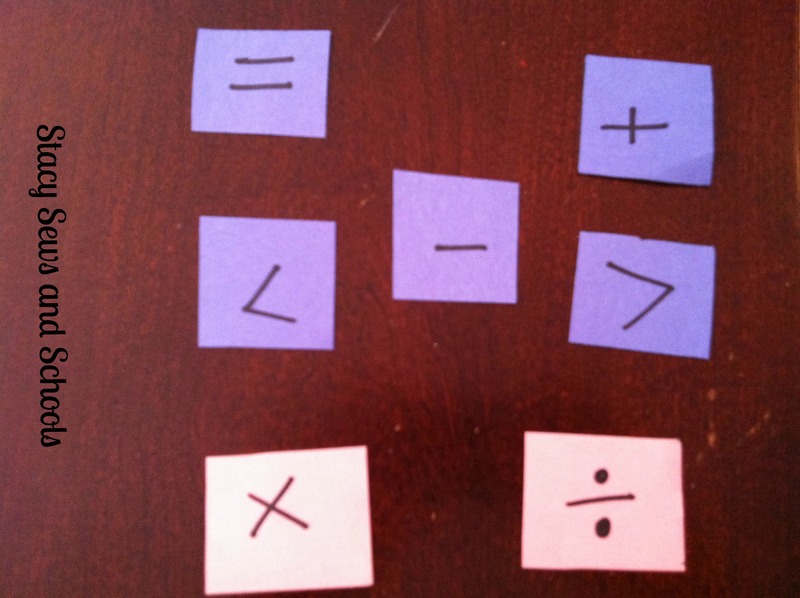 Then I made a memory game. He LOVES this!!!! This was his favorite. 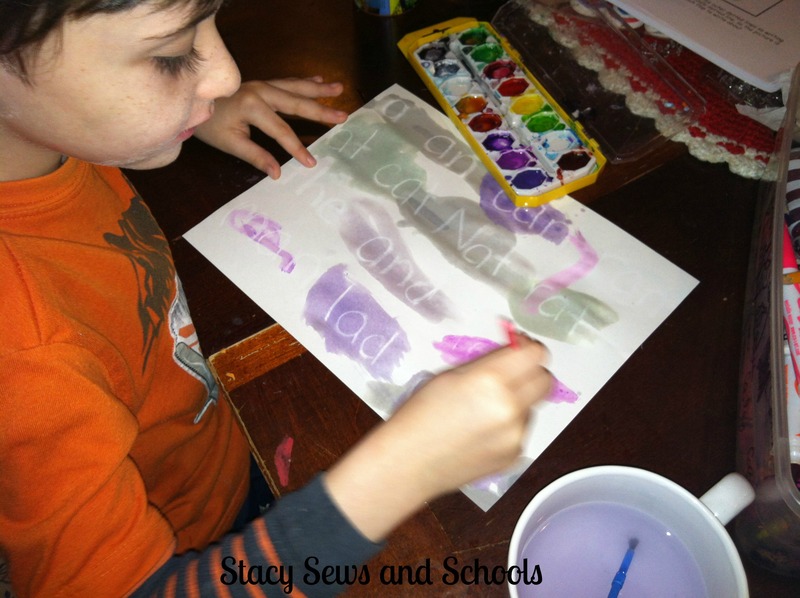 I wrote some of his words in white crayon on white construction paper and had him use his water colors. As soon as he found a word I had him read it to me. These activities seem to be helping him tremendously!!! 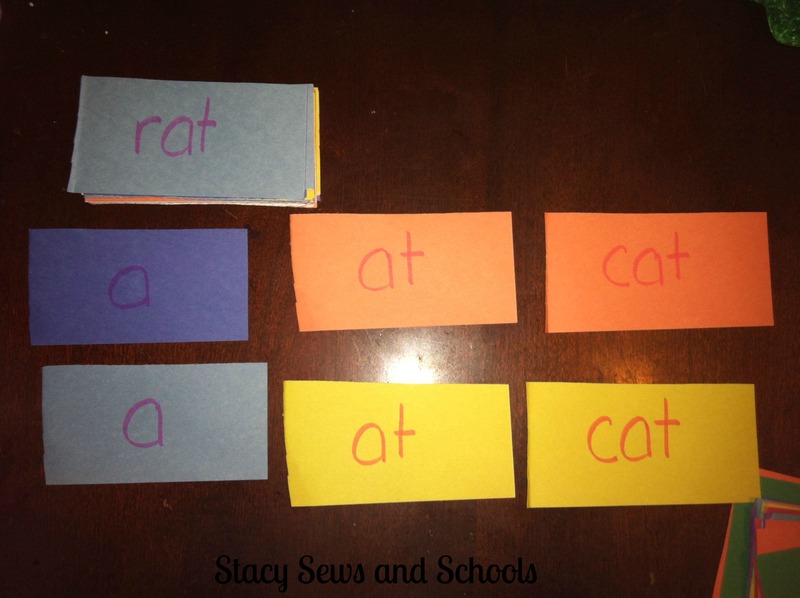 Here are a few links to other word family/sight word activities and printables.